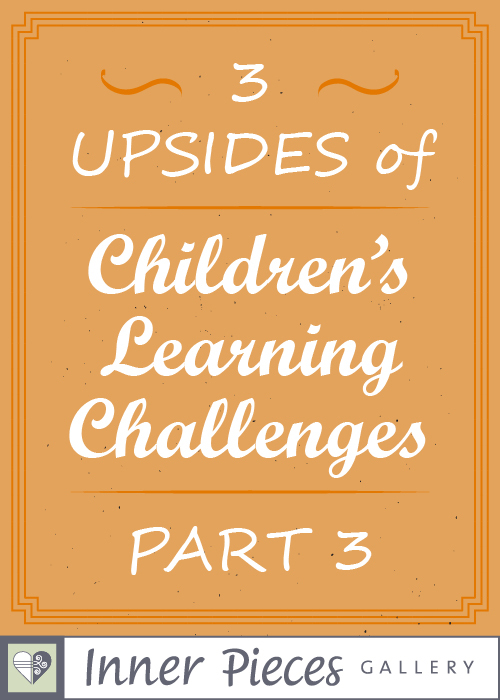 Introducing Part 3 in the series, Three Upsides of Children’s Learning Challenges. If you haven’t had a chance to read Part 1 and Part 2 yet, I invite you to take a peek at them now. If you were at all worried about your child’s learning journey before, hopefully you are starting to feel a little better about it now. Are you ready for Upside #3? There’s no denying the incredible value that comes from overcoming adversity. Struggle and hardship offer some of the quickest ways to build strength and character. That’s a powerful lesson to learn at an early age. A child who is not defeated by challenges may even choose to be motivated by them. A little guidance from you always helps, of course. Add THAT incredible superpower to upside #1, Multiple Areas of Excellence, and you may just have an unstoppable force for good on your hands! So, parents, are you still concerned about your child’s learning challenges? Are you worried about this unexpected need for extra help? In one of my latest learning resources for kids I included a series of positive, uplifting messages. One of those messages encourages children to “Choose your thoughts wisely.” Grown-ups, that goes for us, too. Focus on the upside of learning challenges, and your child just might take your lead and do the same.